Nearly 250 teachers and consultants from across the country participated in this year’s AP Summer Institute. LAPEER, Michigan — Nearly 250 people from 18 states and two foreign countries took part in Lapeer East’s annual Advanced Placement Summer Institute in 2013. The second session wrapped up at Zemmer Middle School on Thursday. This year’s rate of participation marks a 30 percent increase from last year. “There is a tremendous amount of interest in this program,” said Dr. Mike Hobolth, longtime director of the Summer Institute. Hobolth, who also directed the APSI in Grandville (MI) in June , said this year’s increase has a lot to do with some re-designed courses that have proven to be quite popular. Represented in the total are 18 teachers from Lapeer Community Schools and 19 consultants from as far away as Florida. 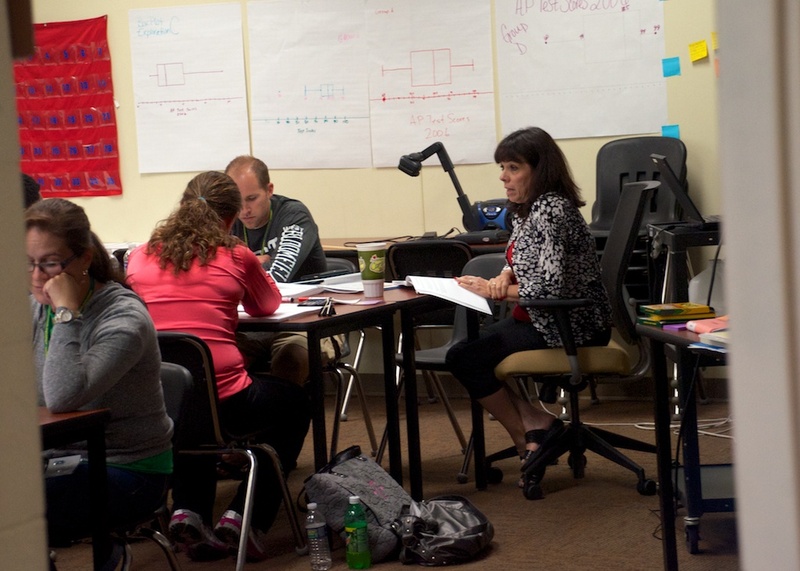 Sponsored by Lapeer Community Schools and endorsed by the College Board, this intensive four-day conference offers training for both new and experienced AP teachers. All courses are designed for a combined audience of new and experienced teachers. Thank you to everyone who helped make APSI possible in 2013, including Mike Hobolth, Jan McKeachie and Robin Check.